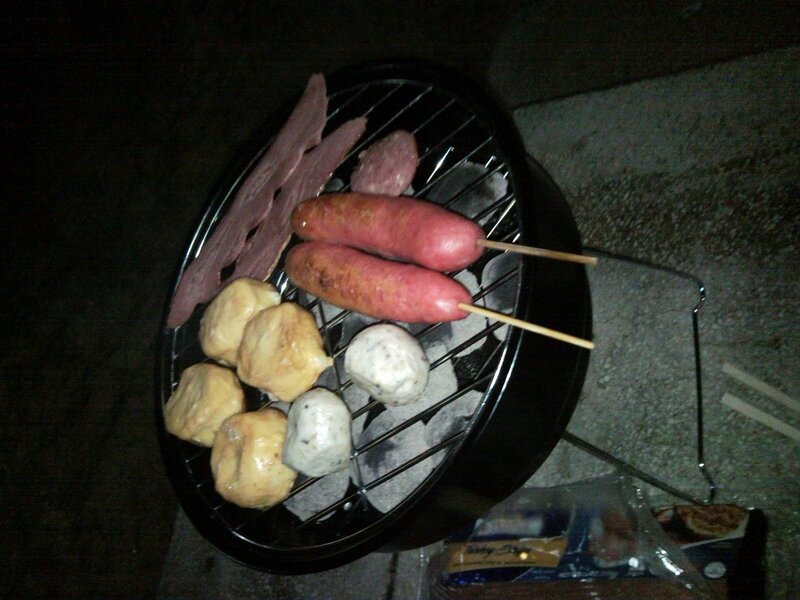 HomeImpromptu BBQ in Singapore at 1am? No Problem! 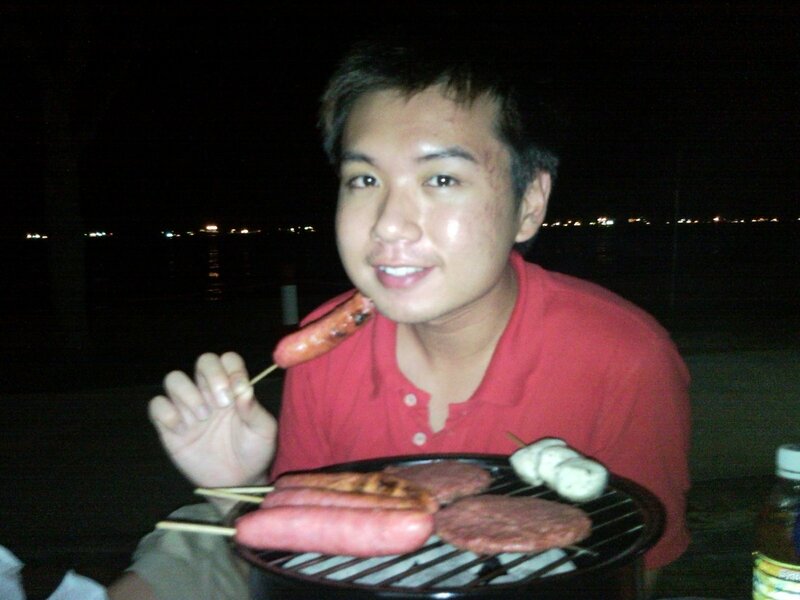 Impromptu BBQ in Singapore at 1am? No Problem! 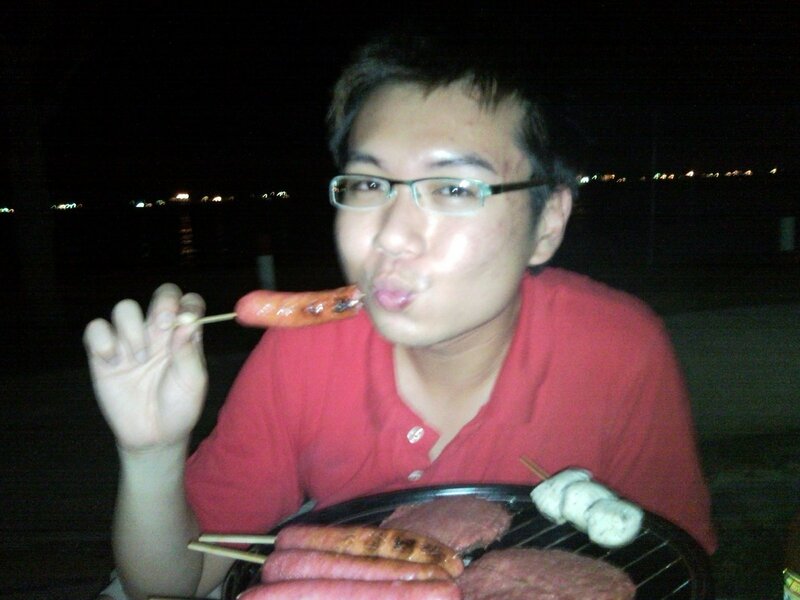 Wheee… It is 4am now and I just came back from my mini bbq supper! Was doing my usual late night shopping at Mustafa with Alex when we came across some portable bbq grill set. As Mr Alex haven’t got his dinner yet, the craving of bbq food suddenly rush into his head. Being the ultimate impromptu and impulsive person I am, I immediately do a quick mental calculation of the cost (I am impulsive but money wise too k! ), and realised that we can do it within the budget of our dinner at Shin Kushiya last weekend! Thus, we started to gather all our essential items from the various levels of the mall that we are sooooo familiar with! And SERIOUSLY, there is NOTHING that Mustafa, our beloved 24hr shopping haven in Singapore do not carry! They simply have everything that we need to indulge in a last min bbq supper impulsion. Food… (Turkey bacon, cheese tofu, pastrami, mushroom balls, ramliy patties, chicken bites), yum Yum YUM!!! … n Of Course and the $15.90 Portable grill too! So after equipping ourselves with all that we need, we set off to East Coast Park for our little party! It came out decently well alright! Kekeke… For a last minute, no-frills bbq that is! All you need is a lil creativity, some cash, a car, a good weather and Mustafa! !